Written in just twenty-seven days, the colossal Israel in Egypt is the fifth of nineteen oratorios Handel composed in England. Essentially a choral oratorio, with almost thirty massive double choruses, the work tells the story of the exodus of the Israelite people from Egypt. 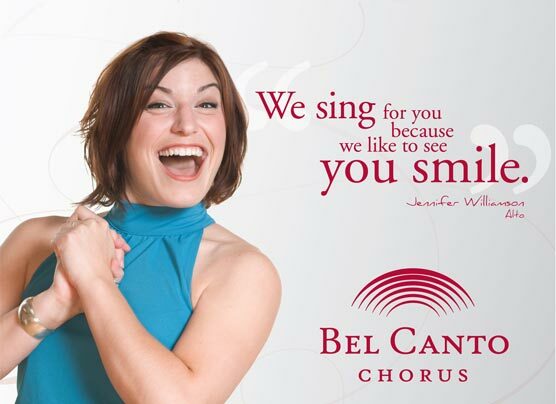 Second in popularity only to Messiah, Israel in Egypt will be a compellingly dramatic way to begin the 2009-2010 Bel Canto Chorus season. Tickets are $12-25. Join the Bel Canto Chorus, the Bel Canto Boy Choir, and the Milwaukee Handbell Ensemble for a festive concert of Christmas favorites. The stunning Basilica of St. Josaphat provides the perfect venue for the joyous music of the season. Tickets are $12 - $25. Missa Brevis by Benjamin Britten. Be a part of music history as the Bel Canto Chorus performs the United States Premiere of Corrado Margutti’s Missa Lorca, a 2008 work commissioned by the St. Jakob’s Chamber Choir in Stockholm, in which the Italian composer sets the Latin text of the mass and the poetry of Spanish poet Frederic Garcia Lorca. This contemporary work will be paired with anthems by Palestrina, Purcell, Parker, and Brahms, as well as Britten’s Missa Brevis, sung by the Bel Canto Boy Choir. Tickets are $12-$25. In an unprecedented collaboration, the Bel Canto Chorus, Waukesha Choral Union, Milwaukee Choristers, and Milwaukee Symphony Orchestra will join forces to perform the beloved Requiem Mass of Giuseppe Verdi. From the offstage trumpets, to the soaring solos, to the powerful choruses, every moment of this truly unique performance will be filled with musical fireworks and vibrant emotion. Tickets are $20-$28.